FLORAL Chelsea women's extra wide width slingback is perfect for any fancy occasion. 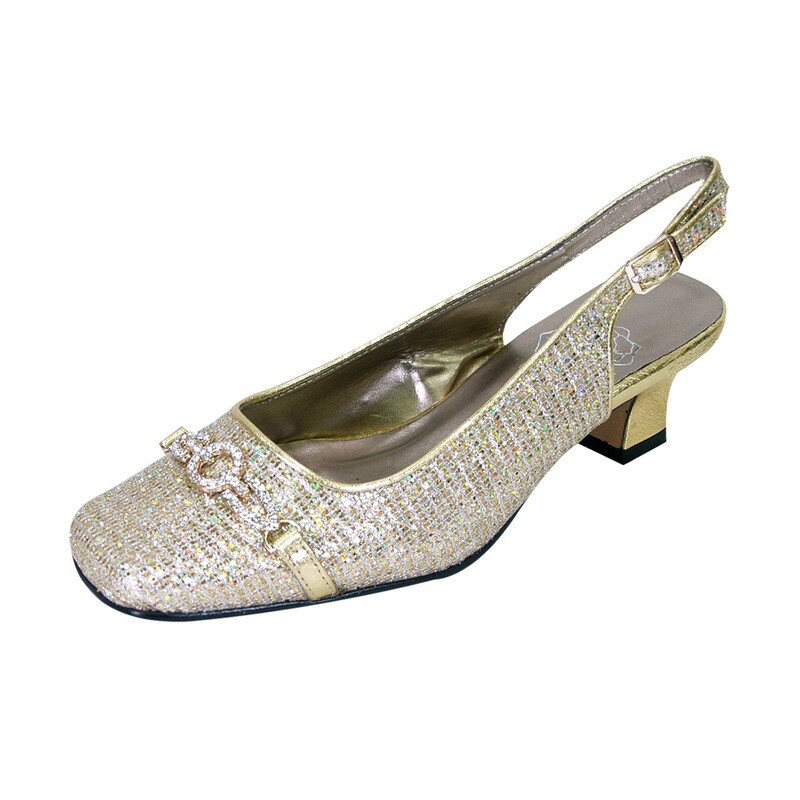 The 1.5" low heel slingback is accented with a crystal ornament on a square toe front. The glitter fabric body completes the sophisticated evening look.